Giving back is its own reward; props to New Meadows, a combined program of New Avenues for Youth and Bridge Meadows. At a banquet ceremony at the Nines Hotel in downtown Portland, Joan Tate Allen, Principal Broker with Windermere Realty Trust, received the Portland Metropolitan Area Realtors (PMAR) Good Neighbor Award. The award goes to someone who has made an extraordinary commitment to improving the lives of others. They also handed Allen a $1,000 check to gift to the charity of her choice. Not surprisingly, she picked New Meadows, a combined program of New Avenues for Youth and Bridge Meadows. Allen serves on the board of both. 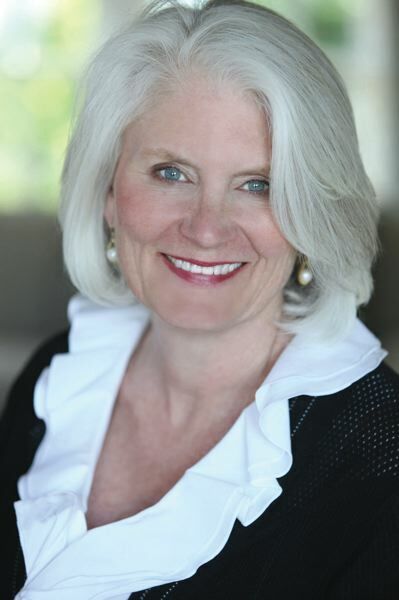 Allen joined Windermere Real Estate in 1991, and since 1997 has been co-owner and vice president of the Windermere Stellar franchise along with her husband, Brian Allen. Her father-in-law is the late comedian Steve Allen. of Comedy event. She is also on the Bridge Meadows Board and advisory board of Girls, Inc.
Business Tribune: What did it feel like to receive this award? Joan Tate Allen: Surprisingly, very emotional. I was overwhelmed and moved to tears. Two decades is a long time, and lots of our agents have been involved over that same time span. So there was a rush of memories, and a realization that I have been deeply involved for literally a generation. BT: What have you learned from working with organizations that help people in need? JTA: That there are lots of great organizations in the community helping people, and that people need help one person at a time. I used to think it would be more efficient if some of these organizations merged, but after a while I learned that the people being helped need a lot, and they need continued focus and dedication to thrive. BT: What motivates you and keeps you energized? JTA: The way people at Windermere joyfully embrace the organizations our Foundation Committee chooses to support. When we present a check to an organization at an office meeting, we give the representative five minutes or less to explain what they're about and who they help. Our agents are always touched, and often become advocates for those organizations. Agents are wonderful connectors. BT: In what ways does Windermere ask its agents to give to the community? JTA: Agents donate a small amount from each closed transaction to the Windermere Foundation. Many donate more voluntarily. Each June there is a Community Service Day, and all agents and staff work in the community. BT: What has the highlight of all your work been? JTA: It came after we raised $250,000 to start Bridge Meadows. We started raising money four years before it was built, and the recession started just after we made our commitment. In spite of the devastating consequences for our agents — lack of work, loss of homes — we were able to meet our commitment to Bridge Meadows. The day we went on the hard hat tour of the buildings, I cried to see what our agents achieved: housing for people adopting foster kids and elders helping those families. I have never been so proud to be part of Windermere. BT: If not real estate, what do you think you might have done in your career? JTA: I was a Special Education teacher for children with multiple handicaps before I went into real estate, and I loved it. I've loved my job as co-owner of our Windermere company. Running it together with my husband, Brian Allen, has been a learning experience and very rewarding on a personal level. I enjoy the opportunity to learn and help the growth and support of others in their careers and lives. I also like to figure out pieces to puzzles, and when you run a big company there are a lot of puzzle pieces.